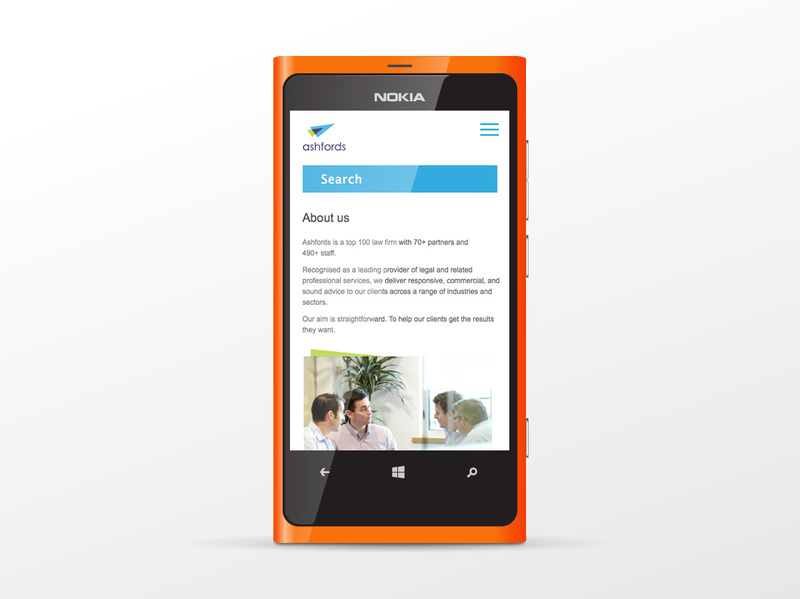 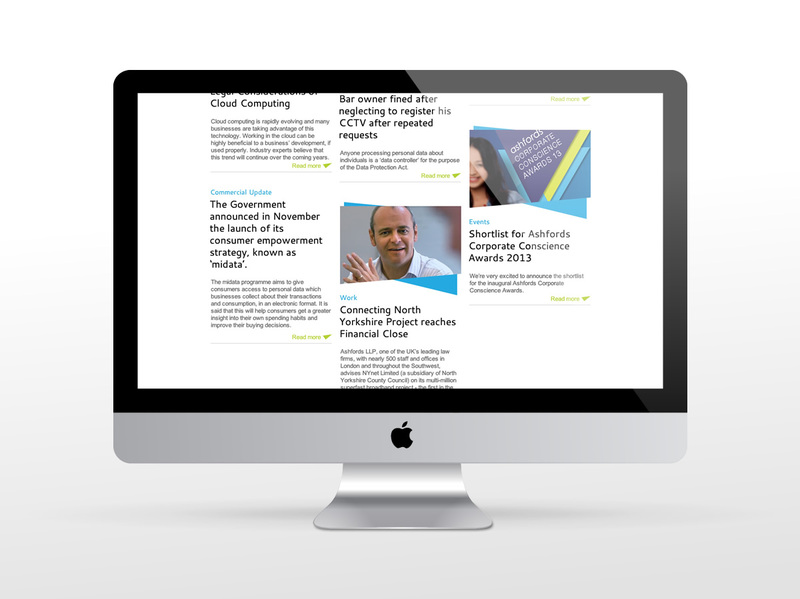 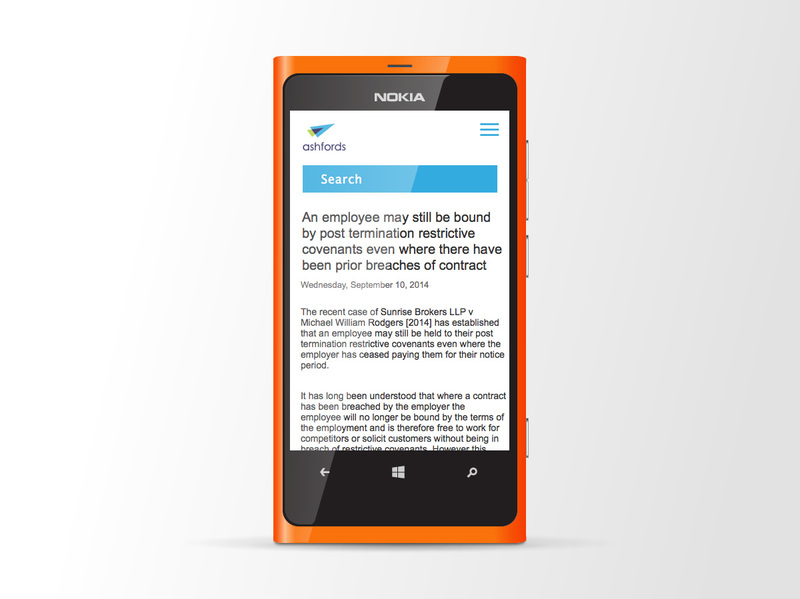 The legal and general service environment is changing, and there are challenging times ahead. 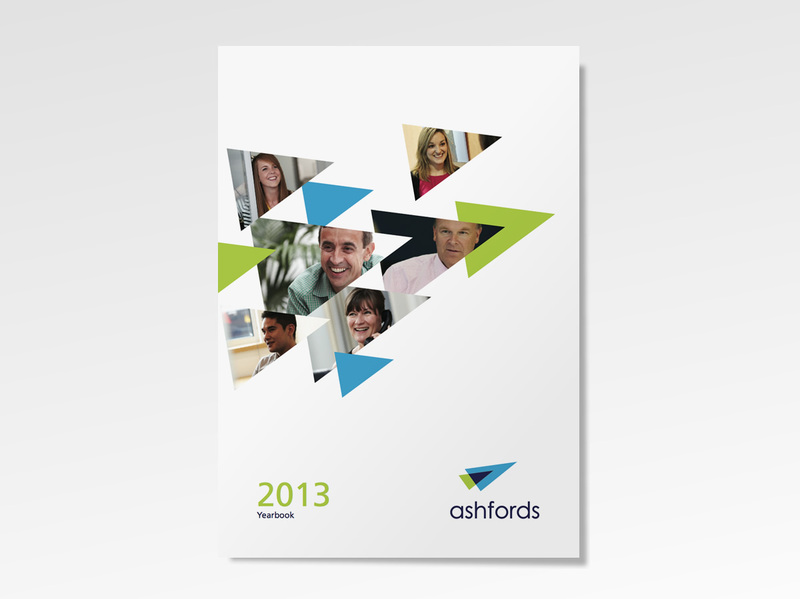 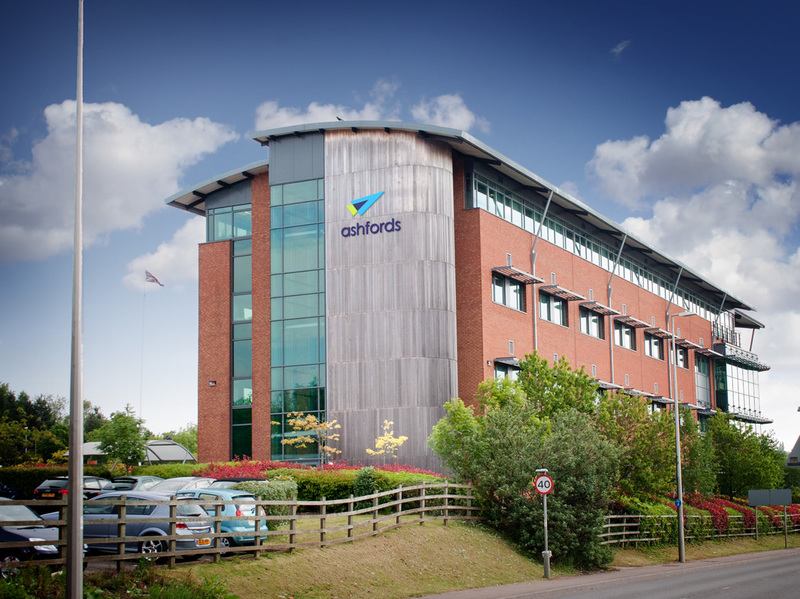 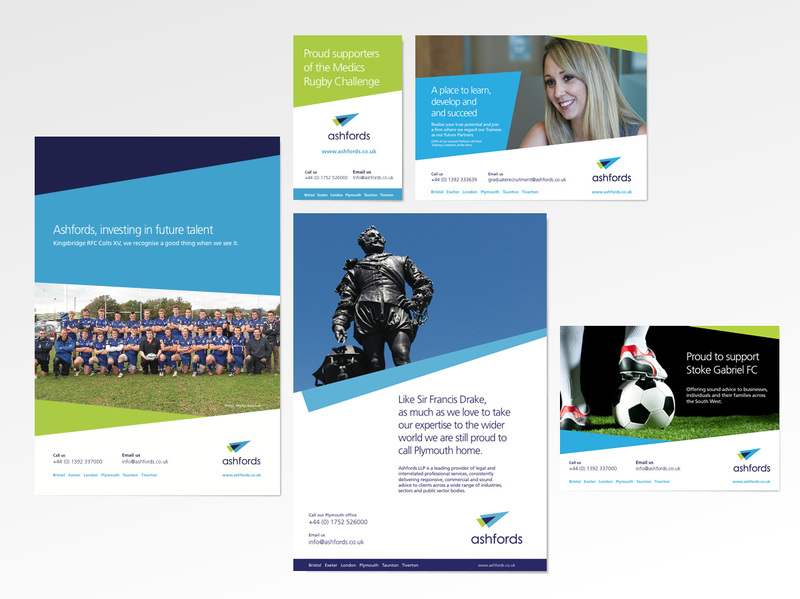 In order to meet the future head on, Ashfords developed a Blueprint entitled Moving Forwards. 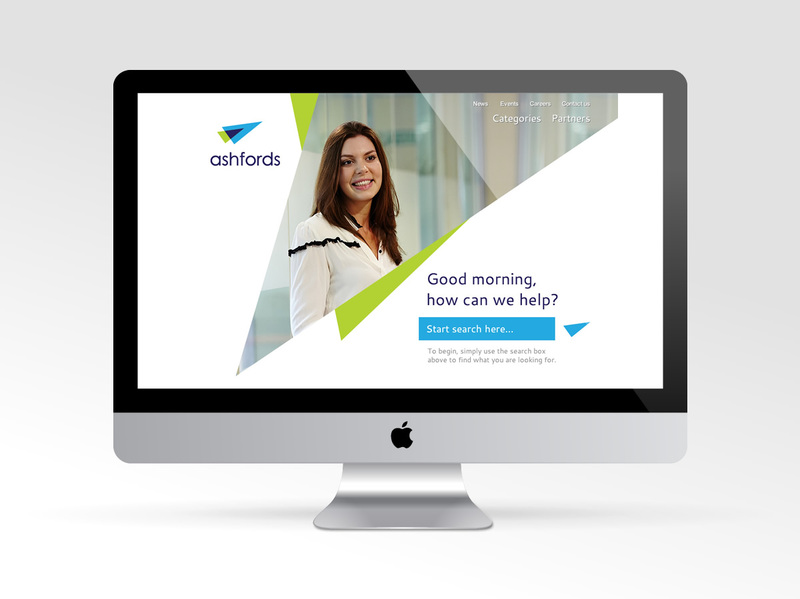 After identifying the need for a re-imagined brand, we were commissioned to work with Ashfords to create a new identity that reflected the strategic aspirations of the partnership and the values of the partners. 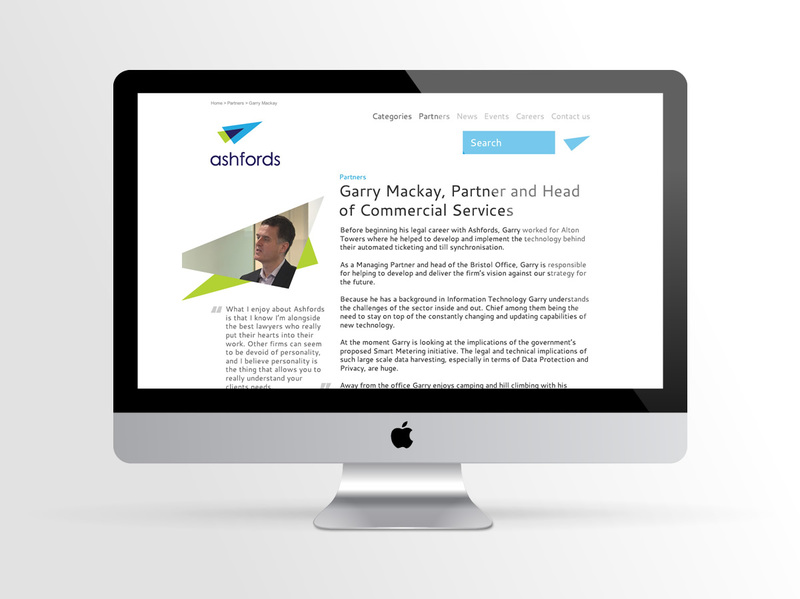 The journey began with finding out the current opinions of the firm. 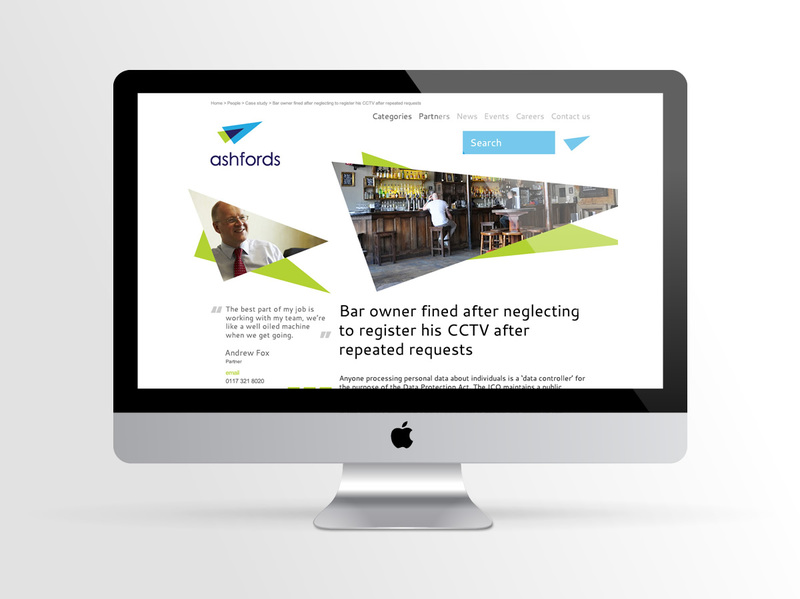 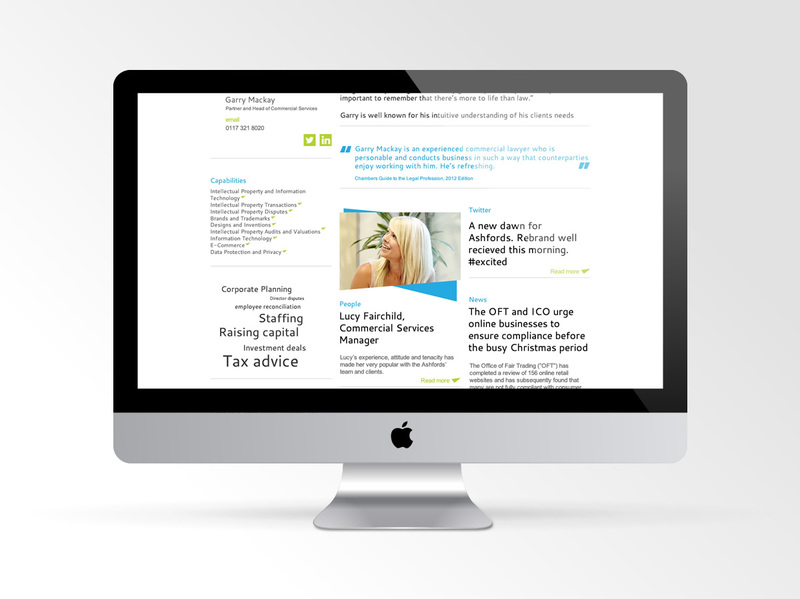 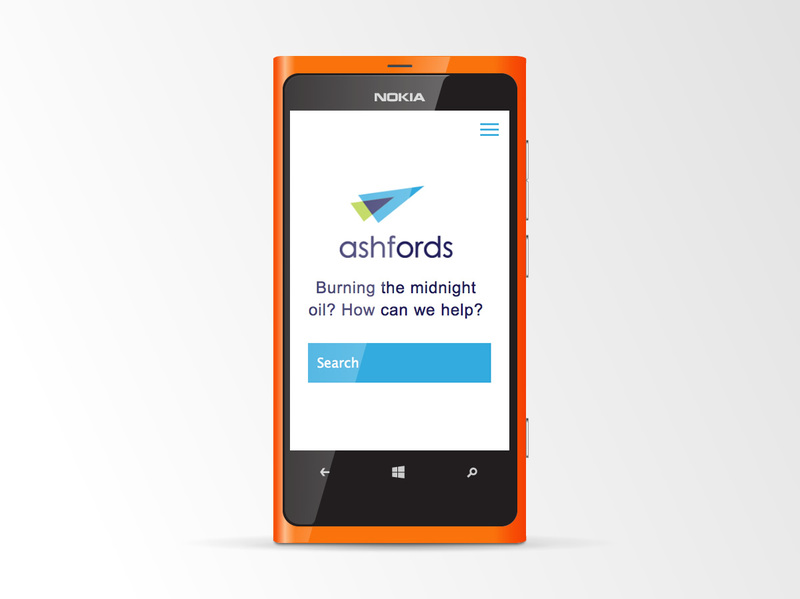 We conducted various forms of research with Ashfords' clients, partners and the internal community. 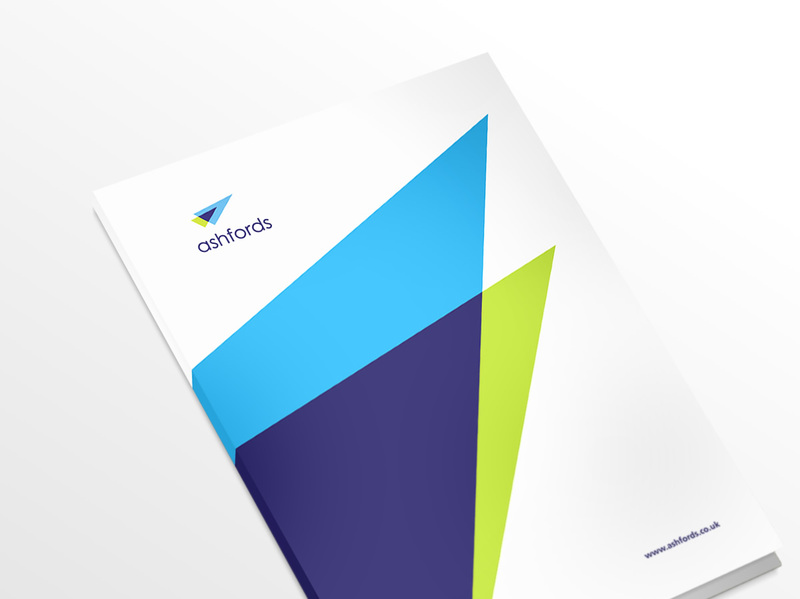 After evaluating the research results, we were able to identify Ashfords' areas of focus and formulate a marketing strategy. 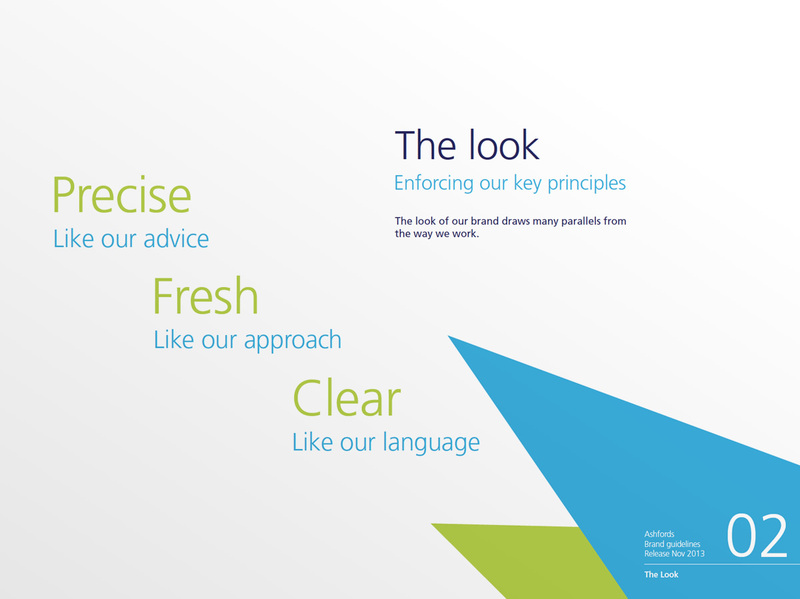 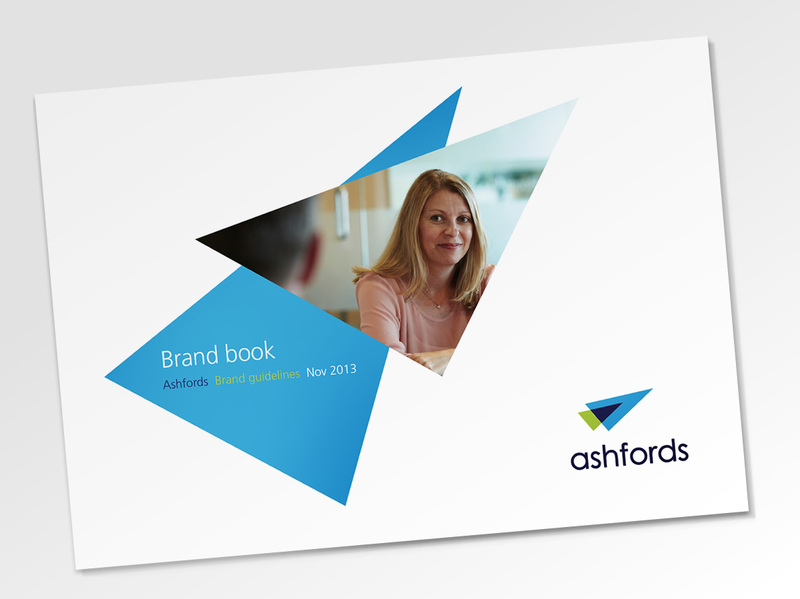 We then assimilated the findings and aspirations in an effort to translate them into a brand to lead Ashfords confidently into the future. 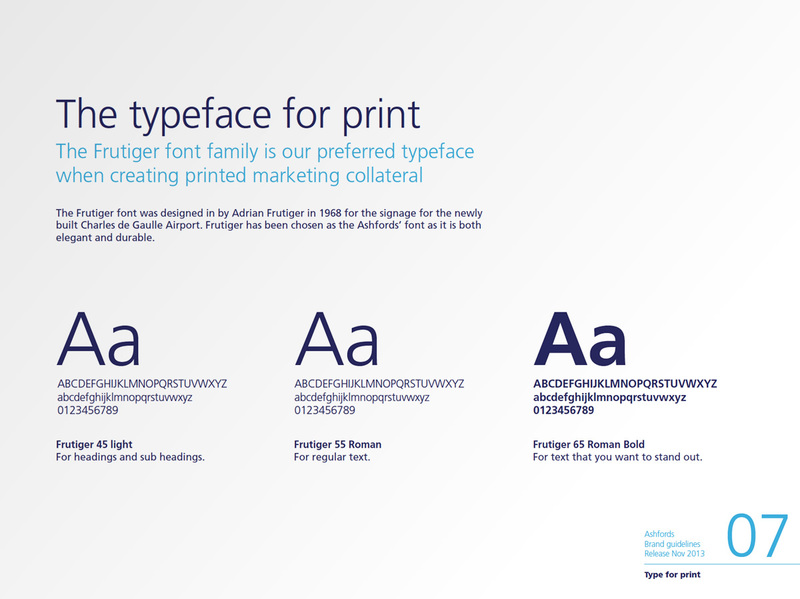 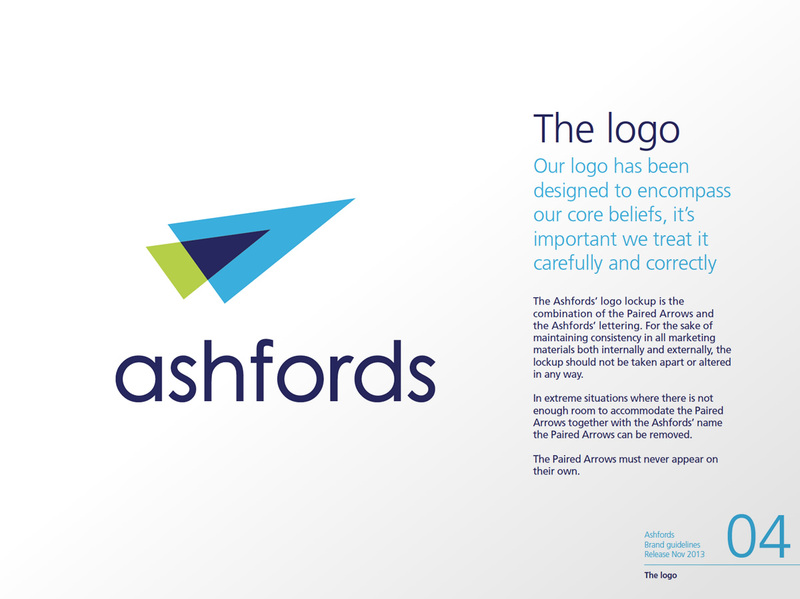 The resulting brand is a fresh, unique identity that illustrates Ashford's core values of Teamwork, Integrity and Contribution, and will stand them apart from their competition.